Sorry for the delay, had some quality time with my 2 young girls and took full advantage of it….. This 2nd set is just getting the case ready and keep in mind this is being thought out as I go along cause I had several ideas on this project and have already changed my mind numerous times. 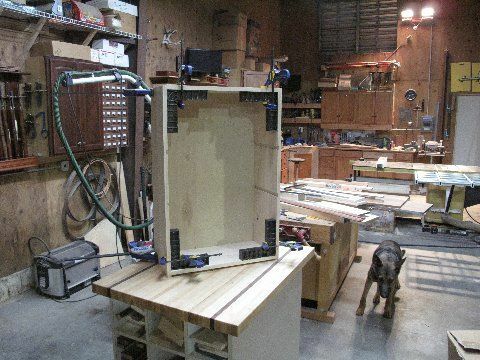 Knowing how big the cabinet is I already got the maple panels sized up and layed out my first task which is to mark all my rabbets and dado’s….. Mark Both panels and take your time. Then after getting all that cut and the shelves, I did a dry fit and all seems well thus far, notice QC is not far away…. 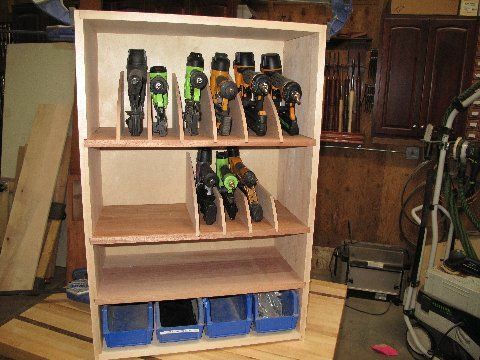 Knowing how I will have the nail guns in the cabinet I made some dividers. In the stack shown there are 9 ready to be cut. Notice how I secured them together and be sure you can drill a pilot hole through them all or you will split some of them. 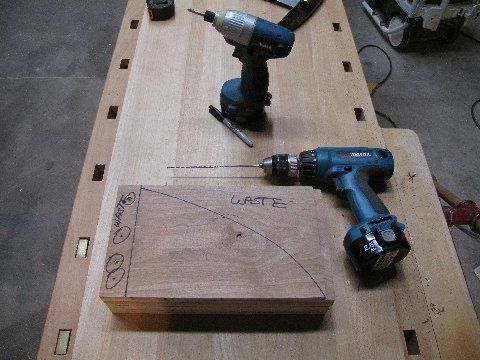 A mistake I made, so I got am longer drill bit and just used several screws 2 on each side. 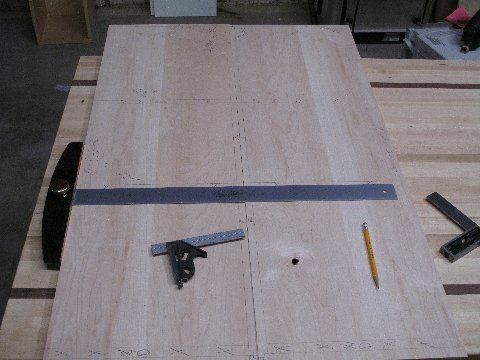 I marked very clearly where the screws were and made my easy curve for the bandsaw and sander. 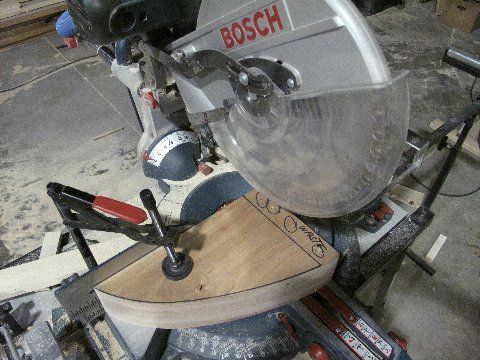 After the bandsaw and sander cut off the waste, make darn sure you secure these to the table and fence. That is coming along really nicely! I like the way you think and work!!!! Thanks for the info, tips and inspiration.